From the author of Above Us Only Sky and The Handbook for Lightning Strike Survivors, a touching new novel set in the 1960s about the power of friendship, love, and accepting your past in order to find a future. For nearly her entire life, Gloria Ricci has been followed by bees. They’re there when her mother loses twin children; when she first meets a neighborhood girl named Isabel, who brings out feelings in her that she knows she shouldn’t have; and when her parents, desperate to “help” her, bring her to the Belmont Institute, whose glossy brochures promise healing and peace. She tells no one, but their hum follows her as she struggles to survive against the Institute’s cold and damaging methods, as she meets an outspoken and unapologetic fellow patient named Sheffield Schoeffler, and as they run away, toward the freewheeling and accepting glow of 1960s Greenwich Village, where they create their own kind of family among the artists and wanderers who frequent the jazz bars and side streets. As Gloria tries to outrun her past, experiencing profound love—and loss—and encountering a host of unlikely characters, including her Uncle Eddie, a hard-drinking former boyfriend of her mother’s, to Madame Zelda, a Coney Island fortune teller, and Jacob, the man she eventually marries but whose dark side threatens to bring disaster, the bees remain. It’s only when she needs them most that Gloria discovers why they’re there. Moving from the suburbs of New Jersey to the streets of New York to the swamps of North Carolina and back again, Lost in the Beehive is a poignant novel about the moments that teach us, the places that shape us, and the people who change us. This reading group guide for Lost in the Beehive includes an introduction, discussion questions, and ideas for enhancing your book club. The suggested questions are intended to help your reading group find new and interesting angles and topics for your discussion. We hope that these ideas will enrich your conversation and increase your enjoyment of the book. For nearly her entire life, Gloria Ricci has been followed by bees. They’re there when her mother loses twin children, when she first meets a neighborhood girl named Isabel, who brings out feelings in her that she knows she shouldn’t have, and when her parents, desperate to “help” her, bring her to the Belmont Institute, whose glossy brochures promise healing and peace. She tells no one, but their hum follows her as she struggles to survive against the Institute’s cold and damaging methods, as she meets an outspoken and unapologetic fellow patient named Sheffield Schoeffler, and as they run away, toward the freewheeling and accepting glow of 1960s Greenwich Village, where they create their own kind of family among the artists and wanderers who frequent the jazz bars and side streets. As Gloria tries to outrun her past, experiencing profound love—and loss—and encountering a host of unlikely characters from her Uncle Eddie, a hard-drinking former boyfriend of her mother’s, to Madame Zelda, a Coney Island fortune teller, and Jacob, the man she eventually marries, whose dark side threatens to bring disaster, the bees remain. It’s only when she needs them most that Gloria discovers why they’re there. 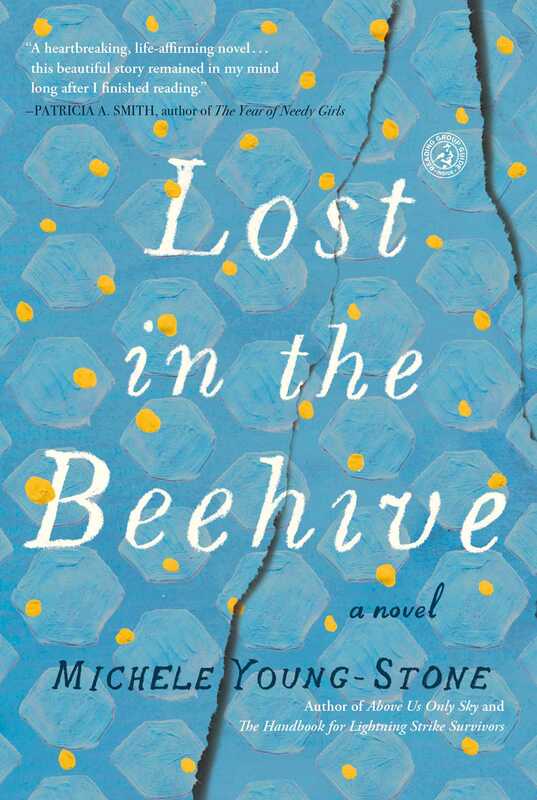 Moving from the suburbs of New Jersey to the streets of New York to the swamps of North Carolina and back again, Lost in the Beehive is a touching novel about the moments that teach us, the places that shape us, and the people who change us. 1. This novel is told in three parts, each exploring a distinct phase in Gloria’s coming-of-age journey, from her burgeoning adolescence to her tumultuous marriage to her unexpected motherhood. Which part resonated with you the most, and why? 2. When we first meet Gloria, she’s heartsick, tortured by the loss of her first love. In what way(s) is this heartbreak a formative experience for her? Do you remember your first love (or your first heartbreak), and how can you relate to Gloria’s experience? 3. Gloria endures an especially cruel method of therapy at the Belmont Institute that requires her to repeat detailed accounts of her “sins.” Describe your reaction to these painful scenes. Did you identify a glimmer of good intentions in Mrs. Dupree and the Belmont staff? 4. After returning home from Belmont, Gloria decides to take charge of her destiny by running away to join Sheff in Chelsea, saying, “I was simply determined to live my life on my own terms” (page 60). At what moments in the novel does she live up to this edict, and when does she veer off course? At what moments does she think she’s living life on her own terms, when it may be clear to the reader that she’s not? 5. Discuss the unique bond between Gloria and Sheff, especially in terms of the acceptance and support that these damaged characters provide one another. 6. What was your reaction to the horrific reality of Sheff’s “therapy” as described on page 100? Were you surprised by the physical torture that Sheff endured, and how did this pivotal revelation affect your reaction to Sheff’s ultimate fate? 7. On page 53, Sheff says, “It’s no good being alive if you don’t get to live.” Knowing what we do of Sheff’s tragic end, reflect on these powerful words. Furthermore, how does Sheff’s philosophy on life impact Gloria’s own path? 8. During Gloria’s courtship and early marriage to Jacob, she reflects, “I didn’t love him. Of course not, but I was participating, joining the land of the living” (page 147). Have there been moments in your own life when you’ve faked your way through an experience just to keep up appearances or because it seemed the path of least resistance? 9. Gloria falls victim to the fallacy of the American Dream in the early years of her marriage to Jacob: “I felt like I was really succeeding, living that American dream—even the picket fence” (page 193). But as Gloria learns, there’s danger (and misery) in basing one’s perception of success or happiness on this socially constructed image. Discuss Gloria’s inner turmoil at this stage in her life; what are her options as a queer woman at this time in history? Would you have behaved any differently in her shoes? 10. Gloria’s relationship with her parents—especially her mother—evolves significantly over the course of the novel. In the opening chapters, Gloria realizes that she’s “been taking care of [her]self” (page 46) and resents her parents’ decision to send her to the Belmont Institute in an attempt to “fix” her. 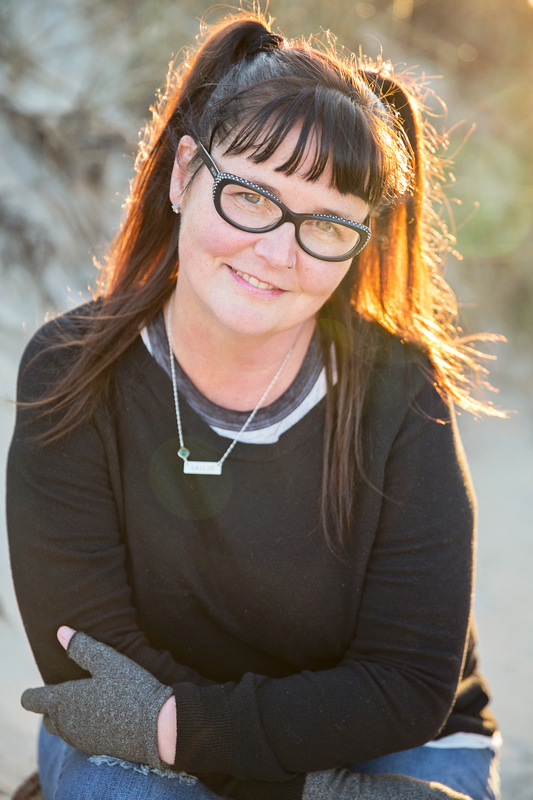 By the novel’s end, her parents have become a loving support system for her, particularly in the wake of her mother’s own healing journey. Did you find this to be a realistic portrayal of a changing parent-child dynamic? Why, or why not? 11. Discuss Jacob’s character. What was your first impression of him? Overall, do you consider him a villain, or were there redeeming moments in Jacob’s life? 12. The night that Gloria feels her baby kick for the first time, she dreams of the bees: “They were buzzing through the pines behind my parents’ house. I trailed them. They were moving faster and faster, and I was chasing, but we ran a loop back to my parents’ house. I could never catch up” (page 243). Dissect the imagery presented in this dream as it relates to Gloria’s struggles at this particular stage in her life’s journey. 13. Discuss Betty’s character. How does she help Gloria throughout the novel? Did you predict the evolution of their relationship? 14. Toward the end of the novel, Gloria reunites with Madame Zelda, who shares a message from Sheff: “The boy wants you to know that you have to honor who you are. Don’t let anyone turn you into someone you aren’t, Gloria. He says that Holden somebody didn’t become a phony” (page 267). Why do these words have such a dramatic impact on Gloria? 15. Bee stings come at dark moments in Gloria’s life: for example, the death of her mother’s twins and the moment when she says, “I do,” and yet, as the novel progresses, the bees appear to swarm around her at times when she needs support, bringing her a sense of comfort. What do you interpret to be their purpose in Gloria’s life? 16. Contemplate the Ernest Hemingway quote that opens Part One of the novel. What are Gloria’s “broken places”? By novel’s end, is she strong in the “broken places”? 17. How would Gloria’s life be different if she came of age today? Think about your own coming-of-age. Were LGBT young people accepted? 1. The classic novel The Catcher in the Rye is cited multiple times throughout this book. Read J.D. Salinger’s beloved masterpiece in tandem with Lost in the Beehive, and compare Holden’s 1950s coming-of-age journey to Gloria’s own ’70s-set story. Which of their experiences are comparable, and which diverge? Which elements of both narratives reflect universal truths about the pain—and triumphs—of adolescence? 2. The popular radio program, This American Life, hosted by Ira Glass, shares a true story about conversion therapy in Act Three of Episode 462. The episode (which is titled “Own Worst Enemy”) is available online at thisamericanlife.org/radio-archives/episode/462/own-worst-enemy. Listen to Act Three, “Just As I Am,” and discuss the story of John Smid and love in action as it relates to the journeys of Gloria and Sheff. 3. Betty and her bakery bring comfort and stability to Gloria’s life during her tumultuous marriage. Ask every member of your book group to bring their favorite baked good—either prepared from scratch or store-bought—that they associate with a sense of comfort. Share your stories as you share your treats! 4. Bees are Gloria’s “spirit animal”—what’s yours? Have every member of the book group identify his or her spirit animal, and bring a representation of that creature to the discussion to prompt a fun dialogue. One of O Magazine's "Best New Books of Spring"